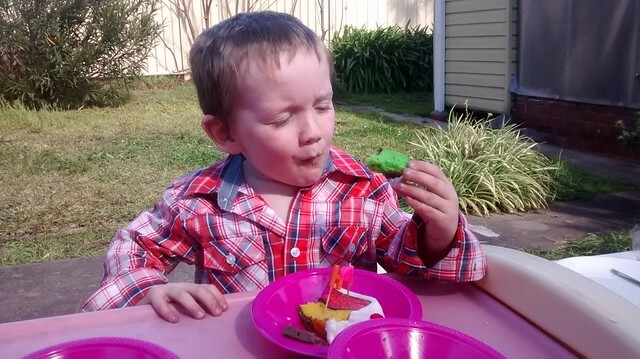 I can’t handle my sugar nearly as well as these preschoolers! 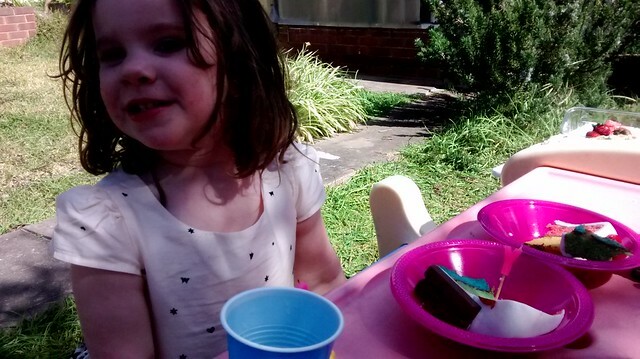 Just back from my niece and nephew’s (3 and 5 year old) birthday party. 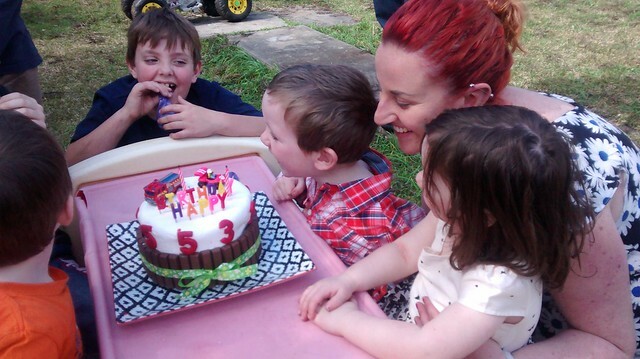 Those toddlers sure know how to consume a whole heap of sugar! 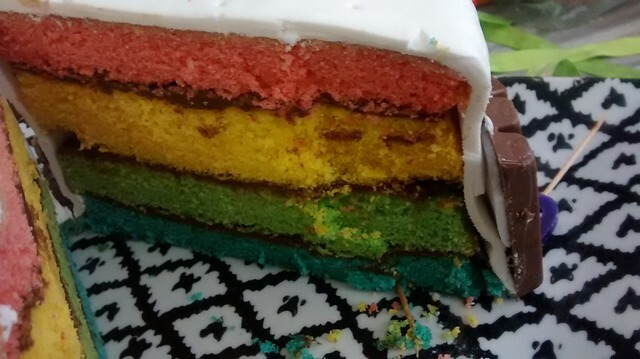 My sister made this gorgeous rainbow cake for them – yes that in Nutella between the layers! I need a HUGE glass of water and a lie down! She got 4 jars cheap because they were mislabelled as 900g instead of a kilo! !